The snow has finally given way to sun, showers and a freshness in the air. Now that it is beginning to feel like springtime here in London, many people are looking for things to do outside so they can shake off the cold of winter and feel the sunshine on their faces again. If you are looking for things to do in London this spring, keep reading and see some of our favourite ways to welcome in spring! – the London Coffee Festival is a celebration of the city’s love for coffee. 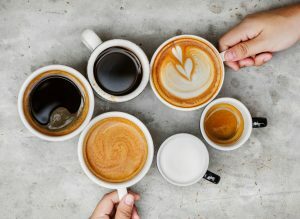 Featuring gourmet coffees, speciality teas and artisan food from many local London cafes and eateries, there is something for everyone at the London Coffee Festival. You will even find demonstrations from world-class baristas as well as live music from local bands and a lot more! – this collection of the circus, theatre, cabaret, comedy, music and children’s shows is an annual event held on London’s South Bank. 2019 marks its 11th year and the event just keeps getting better every year! – Easter is in April this year and London is the best place in the world to celebrate this very special religious holiday. 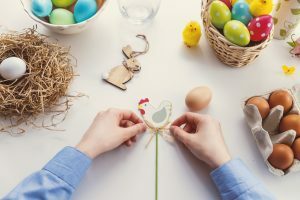 From the Annual London Easter Egg Hunt to Easter-themed afternoon teas and other holiday-themed events, there is something fun for the whole family. – celebrate the Feast of St. George, England’s national day in Trafalgar Square this April. The annual event includes food stalls, kids activities, live music, even a friendly dragon! – The Boat Race is an annual rowing race held on the River Thames. It is a competition between the Oxford University Boat Club and the Cambridge University Boat Club and includes men’s and women’s open-weight eights. 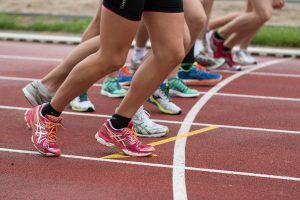 – the London Marathon is one of London’s biggest sporting events. Thousands of participants descend on London to compete in this annual event. London Games Festival- play your favourite video games as well as some all new releases that you might not have even seen yet. Professional gamers and industry experts from all over the world attend this annual event. To learn more about the best things to see and do in London or student accommodations in London, contact London Nest today!